Why should you consider to buy a Macerator toilet? Since there are so many types of flushing toilets on the market, you need to identify a quality toilet that will serve your needs better. There is nothing like one great type of toilet as there are many things that come into the picture when you’re looking for a toilet. For instance, a standard toilet cannot be installed where the drain pipe is above the toilet. In such a case, a macerating toilet will be the best option. But, how to find the best Macerator toilet for the money? In this Macerator Toilet reviews, we’re going to look at the best macerating or upflush toilets on the market. Unlike normal toilets which flush from above, macerating toilets flush from below. In addition, they feature some technologies that make them be very effective in performance. Similar to normal toilets, upflush toilets come in different designs, sizes, and they also perform differently. When it comes to the best macerating toilets, Saniflo is way in front of other brands as Saniflo has lots of toilet models to offer. The Saniflo Sanicompact toilet is a one-piece toilet design with exceptional features. It is durably constructed porcelain, stainless steel, neoprene, and C.R.P. Additionally, installation isn’t a problem at all. This self-contained toilet has an elongated bowl design for comfort and sitting on or standing up by different users is easy. Apart from discharging waste, this toilet can also be used to discharge wastewater of a sink. If you want most selling best Macerator toilet, then buy this. The Saniflo Sanicompact is ideal for installing in tight places where traditional toilets cannot fit well. 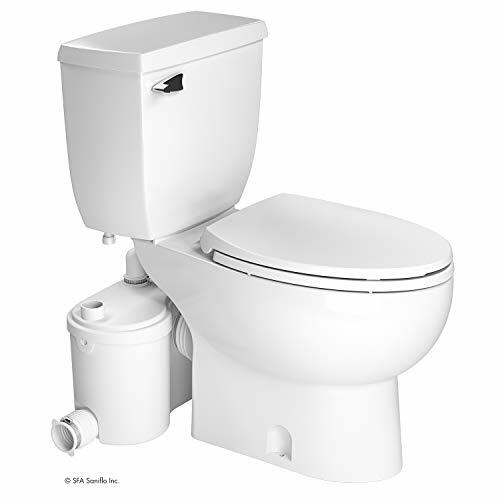 This compact toilet also features a gravity flushing system which only uses 1 gallon of water per flush. It doesn’t need a toilet tank as the macerating pump cycle is automatic after pressing a push button on top of the bowl. 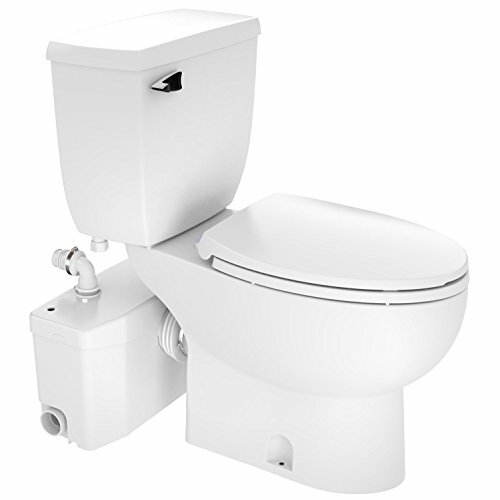 With a 2-year warranty, this is an amazing toilet to install in the attic, basement, or garage. The Saniflo Saniplus two-piece toilet is a beautiful toilet that can easily fit in tight spaces. The toilet is also lovely with its white finish and can easily blend in any modern bathroom. Apart from that, this toilet from Saniflo is very comfortable as it comes with an elongated bowl design. It is also of a good height and can be used by people of different ages or with disabilities. It is the best macerator toilet for seniors. 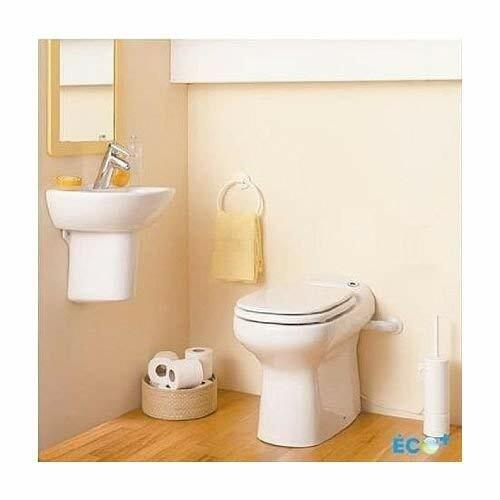 Moreover, this toilet is very easy to install as it is a floor mounted design. So, you won’t need the services of a professional plumber. Its sleek design makes cleaning the toilet to be simple and the powerful gravity flush clears contents with much ease. During operation, the toilet is quiet and thus you won’t create a lot of attention after flushing the toilet. Apart from discharging toilet waste, this model also flushes gray wastewater from various sanitary fixtures such as a urinal, hand basin, or bath. This toilet always has a low water level in the bowl which might leave behind some spots on the bowl after flushing. With the ability to be installed in a bathroom that is up to 18 feet below the sewer line or even up to 150 feet away from a soil stack, the Saniflo Sanibest Pro is one of the most advanced toilets that you will ever come across. It is sturdily constructed and its elegant finish can easily match with any conventional bathroom. Furthermore, the toilet is very comfortable with its elongated bowl design. This means that you can take longer sitting on it without feeling uncomfortable. The Saniflo Sanibest Pro macerating toilet is also easy to install as you can do it by yourself. Simply, go through YouTube videos or check out the instructions provided in the manual. On top of that, using this toilet is amazing as you will get to save water as it uses only 1.6 gallons per flush. This means that you will end saving water and lowering your water bill. It also operates quietly, thus you won’t create a disturbance at night when you visit the toilet. Liberty Pumps is one of the most re-known macerating toilet brands on the market. They’ve got a number of outstanding toilet designs to offer and their toilets are very innovative. The Liberty Pumps ASCENTII-ESWM 115 upflush toilet is one of the macerating toilets with the most advanced system. It features the most recent technology that helps in the clearing of waste. This is the advanced razor-cut technology which drives it to function outstandingly and provide quality performance. The Liberty Pumps Ascentii is also easy to clean and this is all thanks to its new technology. Besides this, it as well as comes with a high-quality service panel. With this panel, maintaining the unit is easy as you can easily access the cutting panel. 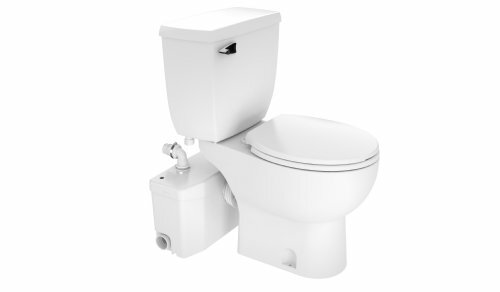 This toilet model also features a powerful flushing system and it uses 1.28 GPF. So, it is not only effective in performance but as well uses little water. The only challenge that you will face using this toilet is that it is quite louder when compared to other toilet models on this list. But apart from that, this is a nice toilet that will change the look for your small bathroom. This unit is very noisy when compared to other toilets on this list. This is another high-quality macerating toilet from Saniflo. The Saniflo SaniAccess 2 Uplush toilet features a round bowl design which makes it to easily fit in small and compact bathrooms. It also has a wonderful finish, which makes it change the look of your bathroom instantly. With the upflush flushing mechanism, the waste is moved into the pipes easily and with less water. So, you will be able to clear waste easily and without the toilet making a lot of noise. The Saniflo SaniAccess 2 macerating toilet is very easy to install with an ideal height. When you purchase this best Macerator toilet, you will get a round toilet kit, a tank, and the macerator pump. Always check instructions to ensure that you install it in the right way. Though quite expensive, this toilet design will help you save water and be comfortable during use. Install it in the attic or garage without having to worry that the drain pipe is some few feet up. Liberty offers any exceptional toilet models and one of such models is the Liberty Pumps macerating toilet. This ½ HP toilet is stylishly designed to add vigor to your bathroom. In addition, its excellent white color will match with any modern decor. In addition, the toilet comes with an advanced technology that makes it perform at a high level. This is the advanced emaciation of waste technology. The technology is great at getting rid of solid waste. If you need an advanced but best macerator toilet, then buy this. Additionally, you will not have to buy a toilet seat separately as it is included in the purchase. Besides having a powerful flushing system, the toilet also uses only 1.28 gallons of water per flush. Hence, you will end up saving many gallons of water every year. When it comes to installation, you won’t need the services of a plumber as you can do so by yourself. If you’ve got a small or tiny bathroom and want a high-performing and reliable toilet, then the Liberty Pumps Macerating 115 toilet will be a great addition to your bathroom or attic. Saniflo offers many exceptional upflush toilets and the Saniflo SaniPlus macerating toilet is just another addition to its great collection. 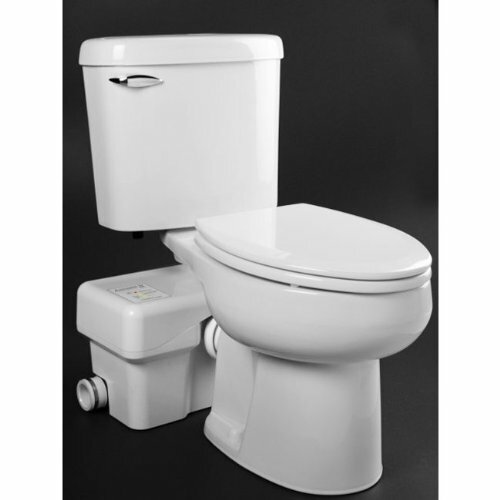 This two-piece toilet is very easy to clean and very durably constructed. It has a standard bowl design, which is very easy to install in small or bigger bathrooms. Its white finish also beautifies the bathroom where it is installed as it easily matches with any decor. The 99.7 pounds toilet is easy to install as you can do it by yourself. The only thing that you need is an extra 4-inch hose clamp and you will be good to go. The SaniPlus also comes with a powerful flushing system that leaves the bowl without any waste and clean. It uses 1.6 gallons of water per flush. This implies that you will save a lot of water and reduce your water bill by almost half. 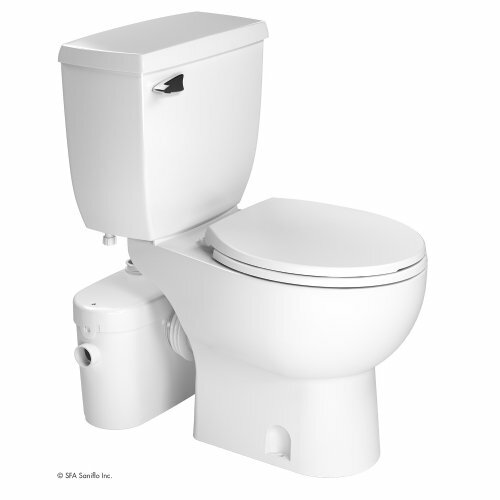 Besides having a powerful flush, this best macerator toilet is quiet in operation. Therefore, you won’t make noise after use. This toilet design is ideal for garages, basements, attics, or small bathrooms. Just ensure that the connections are made well and all will be good. Featuring a port input macerating wastewater processing mechanism that directly processes waste, Lift Assure American round upflush toilet kit is a great option of basement bathroom or guest house. This toilet allows you to install it without having to break concrete in your home. The toilet has a powerful macerating pump with three inlet valves that enable you to not only pump toilet waste but as well waste from the sink and shower. The Lift Assure American round toilet is sleekly designed to match your bathroom decor and very easy to install. It has a seat height of 15-inches which is suitable for kids and a dual flush system for saving water. There is a button for a partial flush and another for a full flush. 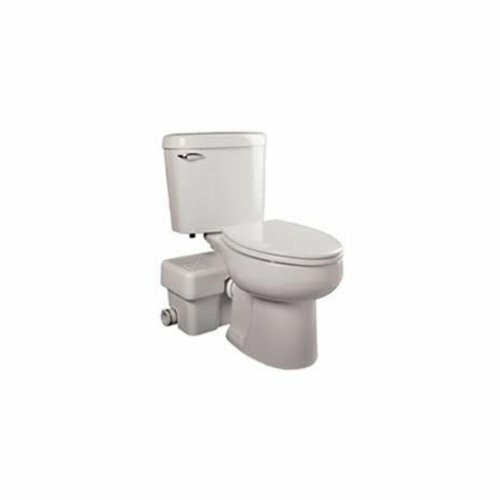 With its round bowl design, this toilet will fit in any tight space making it great for basement bathroom or even travel homes like trailer or RVs. If you own a boat and want a macerating toilet that will serve you best, then the Thetford Marine Nano ECO toilet is the best option for you. The 12v electric macerating toilet is small in height at 11.6-inches. Therefore, it has to be installed on a raised surface. This toilet is sturdily made of Italian vitreous china material with a plastic seat. In addition, it has a lid with a slow close function. So, there is no more slamming of the toilet after use. 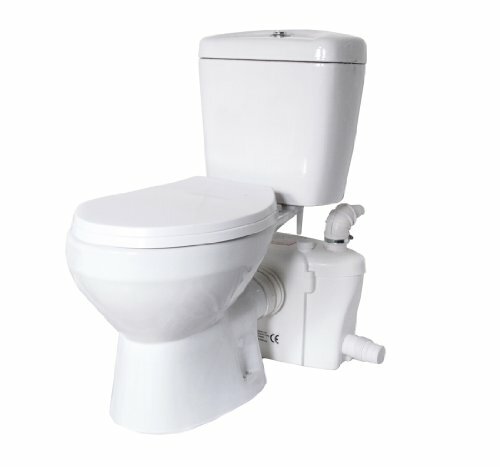 The Thetford Nano Eco macerating toilet also comes with a powerful flushing system but uses very little water. The flushing system is very quiet, which helps not to create a lot of attention after utilizing the toilet. On top of that, the toilet is sold at an amazing price and you can install it on your own. With its stylish design, great finish, rocker-style flush switch, and high-pressure jet nozzle, this is a lovely, reliable, and powerful toilet to have in your boat. Bathroom Anywhere macerating toilet is sturdily constructed to last long. Moreover, it features exceptional features that set it apart from other toilet models. This toilet is ADA compliant and that’s why many people are in love with it. They find the toilet height to be okay and the elongated bowl design offers comfort. Besides, it has a slow close seat that doesn’t slam after using the toilet. It is the cheapest but best Macerator toilet you can buy. 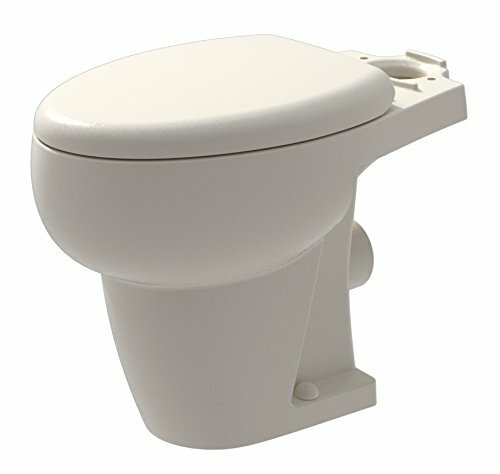 Unlike some upflush toilets on the market, this toilet model is very easy to install has a powerful flushing system that clears everything easily and fast. Thanks to its macerating pump that is conveniently incorporated into the existing plumbing system. Also, this is the reason as to why this toilet is very simple to install. Furthermore, this toilet flushes exceptionally while using only 1.28 gallons of water per flush. So, for individuals looking for a macerating toilet that is easy to install and with exceptional features, this is a great toilet to consider. The only challenge is that you will have to purchase the macerator and tank separately, which is an added cost altogether. When choosing a toilet, the first thing to look for is its construction. A good toilet should be made of durable materials so that it can last for a very long period of time. Different macerating toilets are made with different materials but you should go for the most durable ones. Also, check out toilet seats as some are made of cheap plastics. Who doesn’t want their bathroom to look elegant? So, the overall appearance and design of the toilet is vital when it comes to functionality of the toilet. Pick a toilet model that not only looks amazing but as well as delivers exceptional performance. A good number of macerating toilets features a comfortable and easy to clean toilet design. This is another crucial factor to look at. Some toilet models are challenging to install while others are very easy. Also, most brands offer clear installations instructions while others provide vague instructions. Select a toilet that you will have an easy time installing and one that you can get in touch with the customer support in case anything goes wrong or there are missing parts. Don’t rush to pick just any toilet as they come in different sizes. Some may be big for your bathroom while others may be compact enough to fit in your small bathroom. While looking at size, consider comfort as well. Don’t go for very small toilets as they may not be comfortable enough. Most of the macerating toilets are compact in design and will easily fit in your modern bathroom. Many homeowners are very conscious about the amount of water a toilet uses per flush. The good news is that many macerating toilets use less than a gallon per flush but they clear the waste easily and well. So, check the GPF of the toilet before buying it in order to know if it will help you save water or not. Since a toilet is a place that you will frequent most in the house, you need to choose a comfortable model. Normally, you will have to choose between elongated bowl design and round bowl design. Elongated bowl designs are the most popular when it comes to comfort and are preferred over a round bowl. But still, you can find some round bowls that provide comfort to the users. Even though upflush toilets provide powerful and proper cleaning, they do not utilize the same system. You will find out that their technology is constantly changing. As a result, you’ve to comprehend what type of new technology is available for different models. Choose the best and most efficient technology. 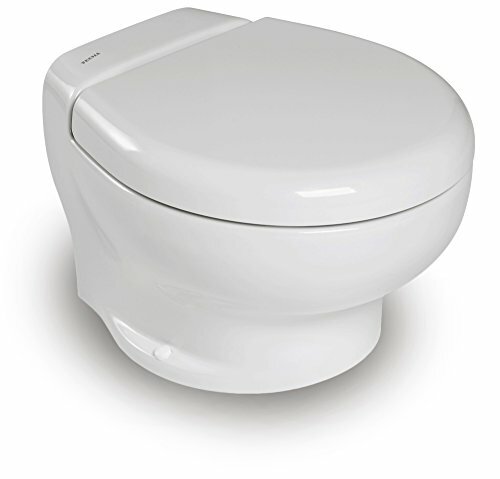 If you have been looking for the best macerator toilet for your basement bathroom, then you should now be in a better position to get a quality toilet after going through our detailed review. The upflush toilets that we’ve selected are some of the best on the market and they perform outstandingly. Just choose a toilet design that you feel will be great for your bathroom and consider a few factors here and there. Toilets vary in size, bowl design, height, performance, and durability. So, ensure that you get one that meets your needs and budget. Question: How does a macerating toilet function? Answer: A macerating toilet works slightly different from the normal toilet. This toilet has a waste removal which comes with a pump system that has a blade for shredding solid matter into sludge. This makes it possible to be installed below drain pipes as the sludge can be easily moved upwards through the tinnier pipes. Question: Why should I install an upflush toilet instead of a normal toilet? Answer: An upflush toilet is better suited in some situations like where you don’t have an underground drain pipe, where you want a bathroom urgently, if you don’t want to break down your house and when you need a temporary toilet. In these situations, a macerating toilet is the best choice over the traditional toilet. Question: Does the toilet size matter? Answer: Of course, it does. It is really important that you purchase a toilet size that perfectly fits in your bathroom space with much ease. That’s why you need to check the different sizes available in order to ensure that you land the best size or your bathroom. Question: What are the benefits of using a macerating toilet? Answer: A macerating toilet has a lot of benefits to offer to its users which include being very flexible as they can be installed anywhere. These toilets are also affordable in terms of initial price and installation costs. Flush toilets are also less time consuming as you don’t need a lot of plumbing in order to install them. And last but not least, they are very portable and can be easily carried to the area of installation. Still, have a question after reading this best macerator toilet reviews? Comment below.